Some groups of humans can be mistaken for zombies: the elderly, the homeless, and specially the elderly homeless. 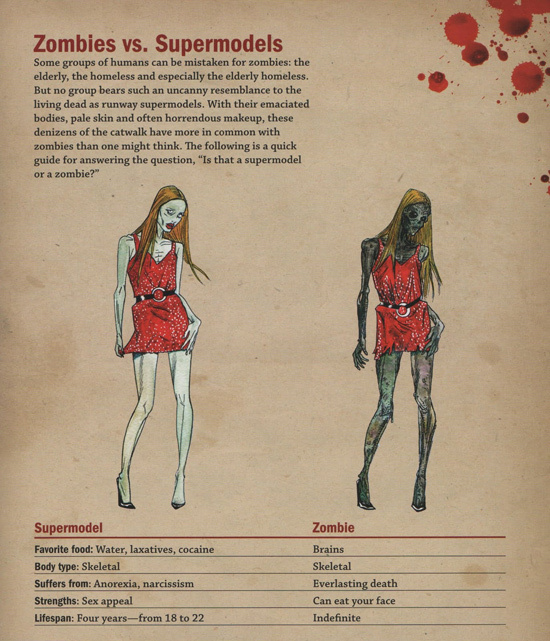 But no group bears such an uncanny resemblance to the living dead as runway supermodels. Both have pale skin, sometimes weird makeup, and the same body type: Skeletal.